Find your polling location in Harris, Fort Bend, Montgomery, Galveston and Brazoria counties. 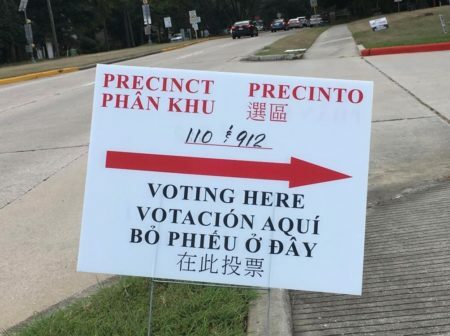 An early voting location in Greater Houston. Early voting is already well underway for the 2018 midterm elections. 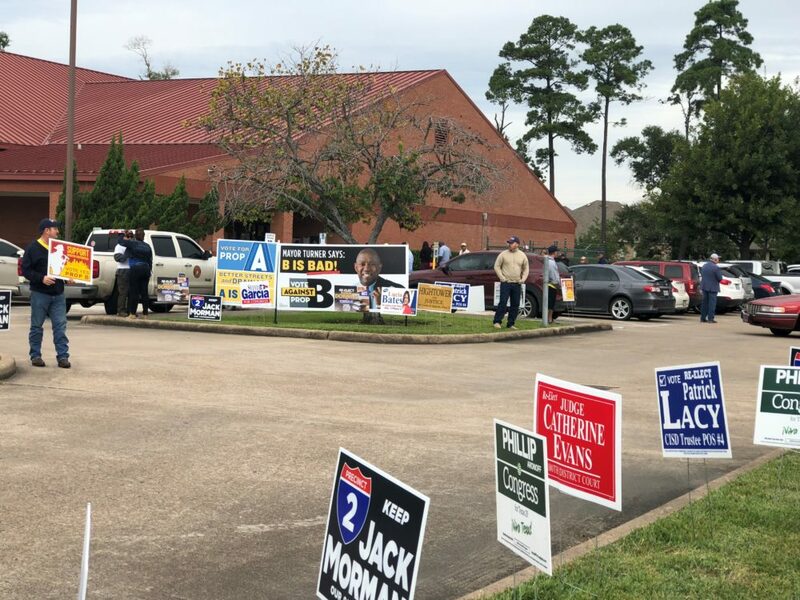 So far, turnout has been strong across Texas, reaching record high numbers compared to past midterm election years. Among the items on the ballot this fall are a U.S. Senate seat, multiple seats in Congress, and statewide positions, including Governor, Lieutenant Governor, Attorney General, and Agriculture Commissioner. Local propositions, as well as county and judicial positions, are also on the ballot. For those who haven’t voted yet, this guide provides information on key dates, how to find your polling location, and what you need to bring to the polls. We’ve included information for Harris, Fort Bend, Galveston, Montgomery, and Brazoria counties. Early voting goes from Monday, October 22 to Friday, November 2. Election Day is Tuesday, November 6, with polls open from 7:00 a.m. to 7:00 p.m.
Mail-in ballots must arrive by 7:00 pm on Election Day if they aren’t postmarked. But they can arrive as late as Wednesday, November 7 at 5:00 p.m. provided they are postmarked by 7:00 p.m. on Election Day. 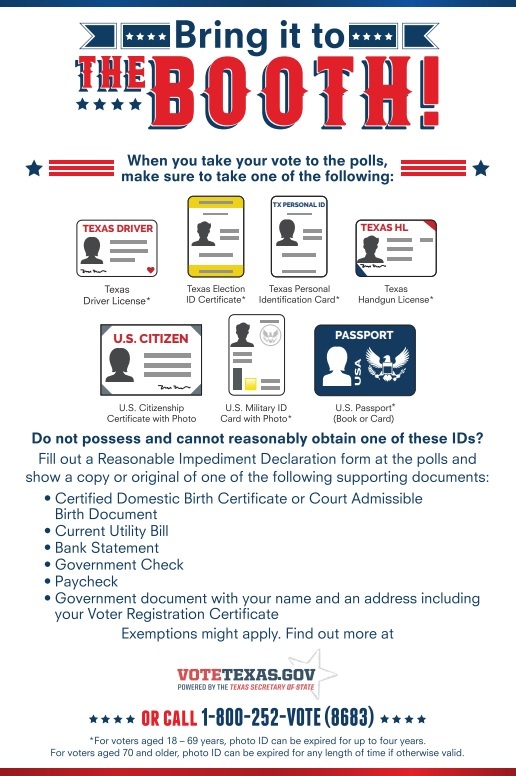 There are different rules for military and overseas voters, which can be viewed here. In some counties, you must vote in your designated precinct on November 6. If you live in a county that participates in the Countywide Polling Place Program, you can cast your ballot at any polling location on Election Day. Details for each county are outlined below. Harris County: During early voting, you can vote at any designated polling location. A list of early voting locations can be viewed here. But on November 6, you are required to vote at the location assigned to your precinct. Find your designated November 6 polling location here. Fort Bend County: In Fort Bend, you can vote at any polling location during both early voting and on November 6. The list of polling locations for early voting is available, here, and for November 6, here. In addition to a list of voting locations, there’s also a live map that displays current estimated wait times at each spot. Galveston County: Voters in Galveston can also cast their vote at any polling location during both early voting and on Election Day. 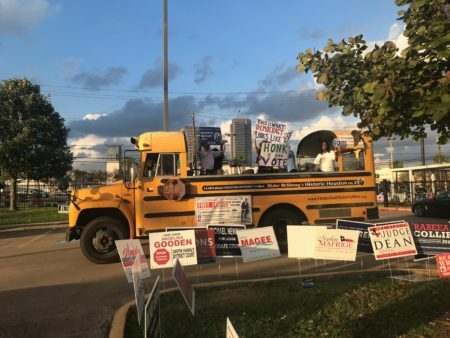 Early voting locations are listed here, and Election Day locations, here. Montgomery County: You can vote at any one of these locations during early voting. On Election Day, you must vote in the precinct where you’re registered to vote. 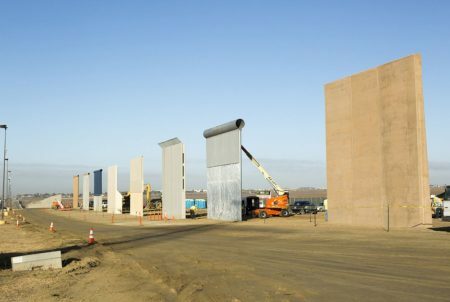 You can look up your November 6 location, here. Brazoria County: Votes can be cast at any of the polling locations during both early voting and on Election Day. 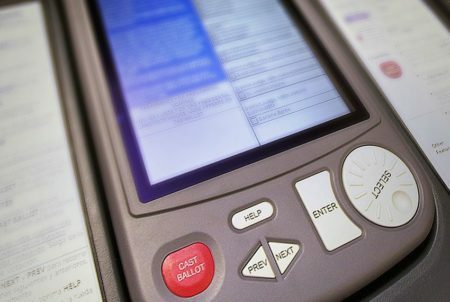 View early voting locations, here, and Election Day locations, here. Photo IDs can’t have expired over four years ago. More information on voter IDs and the Reasonable Impediment Declaration is available here. To help with your candidate research, we teamed up with NPR stations across the state to create a comprehensive Texas Voter Guide. It generates a sample ballot based on your address. You can then click on each candidate for more information. View the Texas Voter Guide, here.